OK, so today we went into Machine Mart in Southampton on the way back from West Quay. 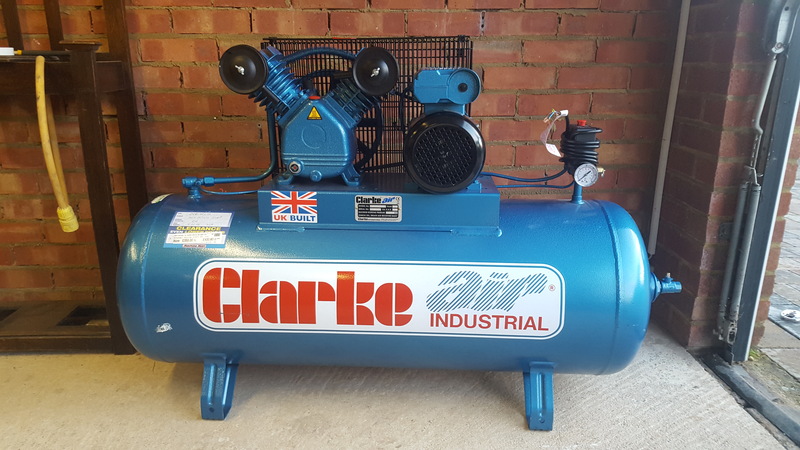 They had two industrial Clarke compressors going cheap (well relatively cheap). Got myself a 16cfm 10 bar jobbie to replace the worn out Chinese one that I picked up a few years ago. This had basically just worn out and would not build up any pressure. The Clarke one is the doggies and made in England. As it damn well should be. Its very heavy and it took three of us to lay it down in the back of the Landrover, unfortunately there was only me to take it out again at the other end. Had to get out the engine hoist and raise it up carefully and then pull back out of the car. Whilst it had been laid down though it has leaked some of the oil out of the breather so the back of the car has got absorbant ‘kitty litter’ in the back trying to lift the oil up out of the carpet. 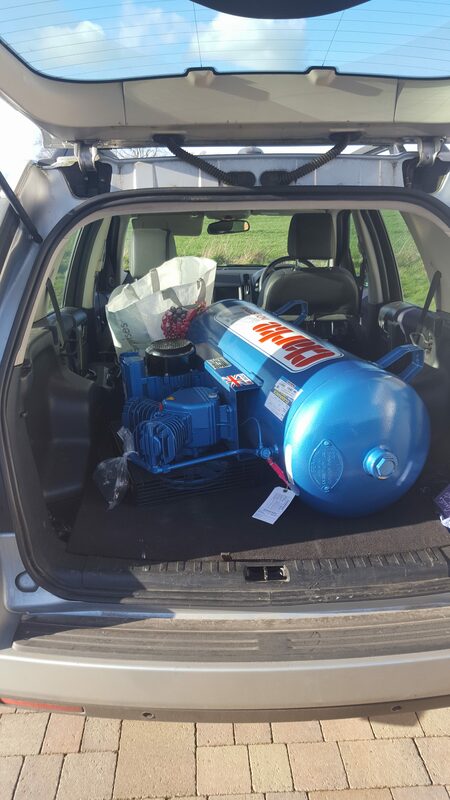 The compressor is now in it temporary position just inside the door in place of the other one. I will move it, possibly upstairs into the loft when we board out the garage and then run a steel pipe and splitter downstairs. This needs a hefty 32 A dedicated cable back to the distribution board so thats the next task. Should take an hour seeing as I had the foresight to replace the distribution board with a new one with a space for a separate feed. In the back of the car…. then in the garage.